Never worry about sub plans again with this 461 page mega bundle! It includes all 5 sets of sub plans for Kindergarten, making it a minimum of a full week (for full day kindergarten) or two weeks (for half day kindergarten). They are perfect for emergency sub plans to fill your sub tub. Your students will be actively engaged in learning activities aligned to kindergarten standards while you are away. No need to worry about making plans to call in sick or take a much needed day off. Your time is worth saving! 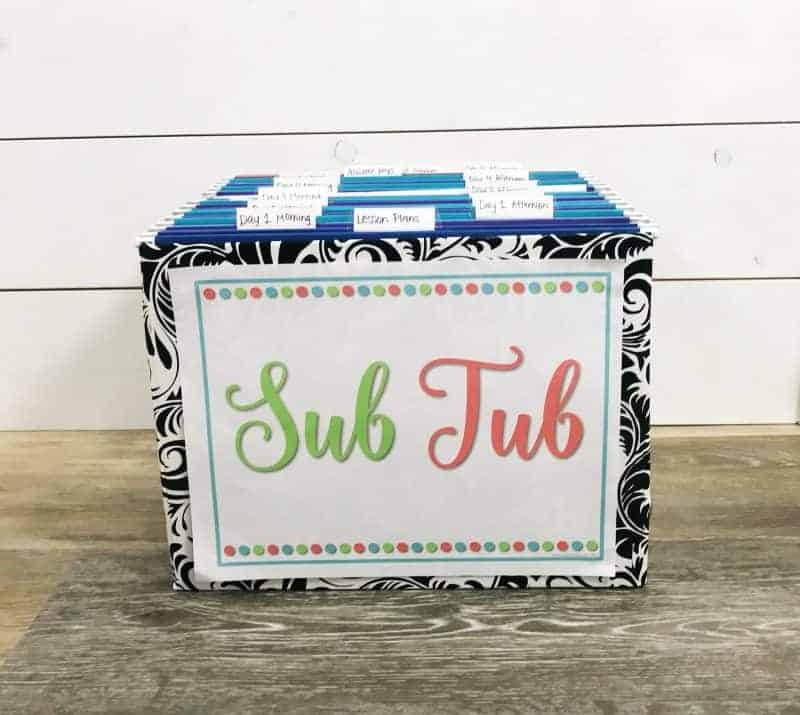 Get your sub tub ready for your classroom with the Kindergarten Sub Plans Bundle! Fill up your sub now so you are prepared when you need it! 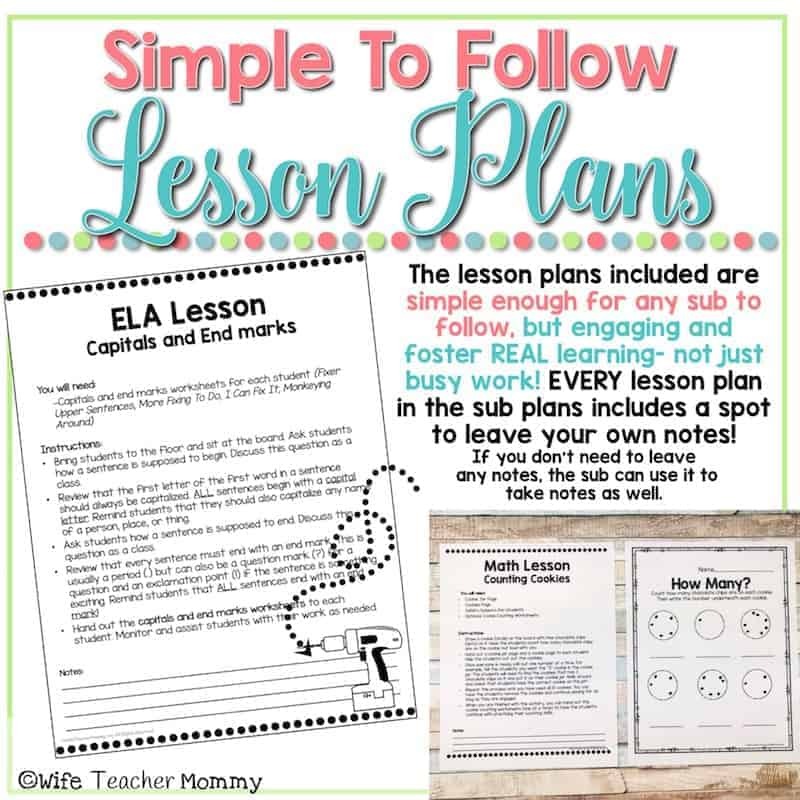 These Kindergarten emergency sub plans make sub planning easier than ever, so you can rest easy when you need it. The truth of the matter is, you work so hard to serve everyone else every single day! But you need to take care of yourself, too. Whether that means you need to take a stress free sick day, a mental health day, or a vacation, having Ready To Go Sub Plans on hand can help you achieve the work/life balance you strive for. Reading Passages (Two differentiated reading passages are included for a beginning and end of the year level within each set. Choose the best one or use both and differentiate. The topic of the reading passages in the bundle are is a sick teacher, playing soccer, reading, movie popcorn, and a king’s castle). In addition to the core lessons, the following activities are also included in EVERY set. What do teachers have to say about these emergency sub plans? Check out more testimonials, real-life pictures, a collage showing every page, and full sample pages in the in depth preview files for each set! Need only certain subjects? Departmentalized sub plans are now available! Coming for Kindergarten soon! 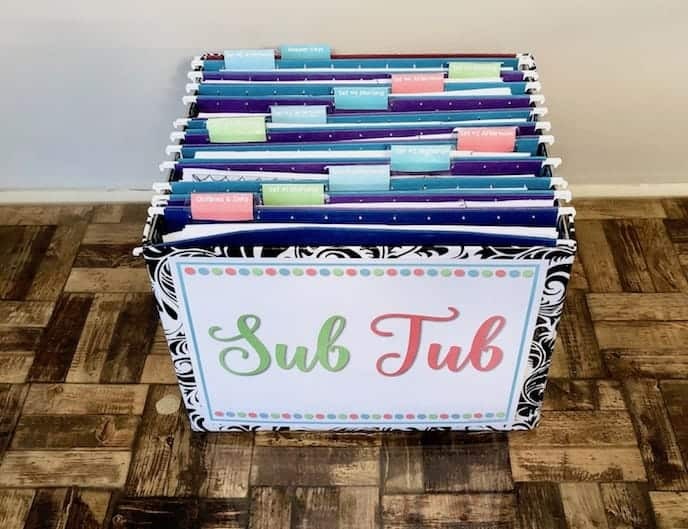 An Entire Year of ELA Sub Plans for Kindergarten These monthly themed sub plans utilize the same structure as the Ready To Go Sub Plans, so they work perfectly together! 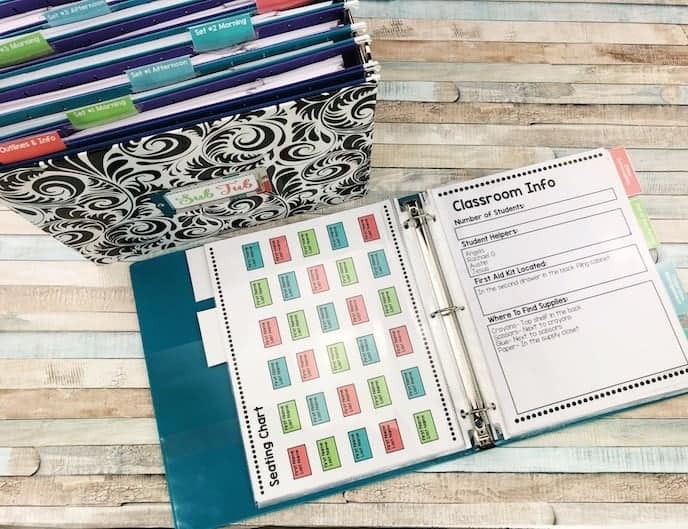 Editable Substitute Binder (BEST SELLER!) Get your sub binder together with ease! All that’s left to do is fill it in, and you’ll have the most thorough and stylish sub binder in your entire school. The Complete Sub Binder Bundle This bundle includes both the short term sub binder (above) and the long term add-on! It is perfect to be prepared for maternity leave, illness or injury or just to have an even more detailed sub binder. Plus, you’ll save 10% with the bundle. Candy Math & More for Kindergarten Candy math activities for Halloween, Christmas, Valentine’s Day, St. Patrick’s Day and Easter! Write, Circle, Draw! Alphabet, Numbers, and More! These worksheets are a great resource for practicing alphabet and numbers. Year round and seasonal versions, plus shapes and colors coming soon! I was able to purchase a full week bundle during a promo and it has come in handy so much on days when I need to be out! The activities are print and go and have easy to follow instructions. I have gotten compliments before from subs who appreciate the thoroughness of all the materials and especially the pages that have all the “extras” the sub needs/may needs to know (schedule, dismissal procedures, emergency procedures, etc). Thanks for creating an easy to use resource for us teachers who never have enough time to finish a sentence some days, let alone sub plans! Love that you have this available for multiple grades. I would love to one day own this! Thank you, Jen! Hope you love it!